Your urine can reveal a great deal about your health. Its color, density, and odor are all indications of what is going on inside your body. If you want to be able to maintain the right level of hydration and notice warning signs that may indicate a problem, you need to pay attention to your urine. The liquid waste from your body is made up of water, chemicals like urea, and salt. The urinary tract filters and disposes of it. It passes from your kidneys through tubes (uterers) into your bladder. The bladder is like a tank for the urine. It sits there until you pee and release it through your urethra. A change in urine color may simply be because of what you ate, medication, the supplements you take and how hydrated you are. It can also indicate a potentially serious health problem. It gives you warning signs that you need to heed. You may be suffering from a urinary tract infection or a problem with your liver, bladder or kidneys. Checking the color of your urine can help you to understand how much fluid you need to drink to stay properly hydrated. Staying hydrated is crucial to the proper functioning of all the systems and organs in your body. Your urine can be many different colors and each color tells a story. Changes in the color are related to the concentration of your urine, substances that are filtered into it or conditions of your urinary tract. Healthy urine can range in color from light to dark yellow. If it turns any other color and it’s not a result of diet, dehydration, over-hydration, supplements or medication, you need to have it checked out. If you are healthy, the normal color of your urine stays within the range of pale yellow to a darkish yellow. The hue is thanks to a pigment called urochrome. A pale, straw yellow means you are drinking enough water. If the urine does not have much of an odor and the consistency is clear, these are other signs that your urine is normal and you have no cause for concern. 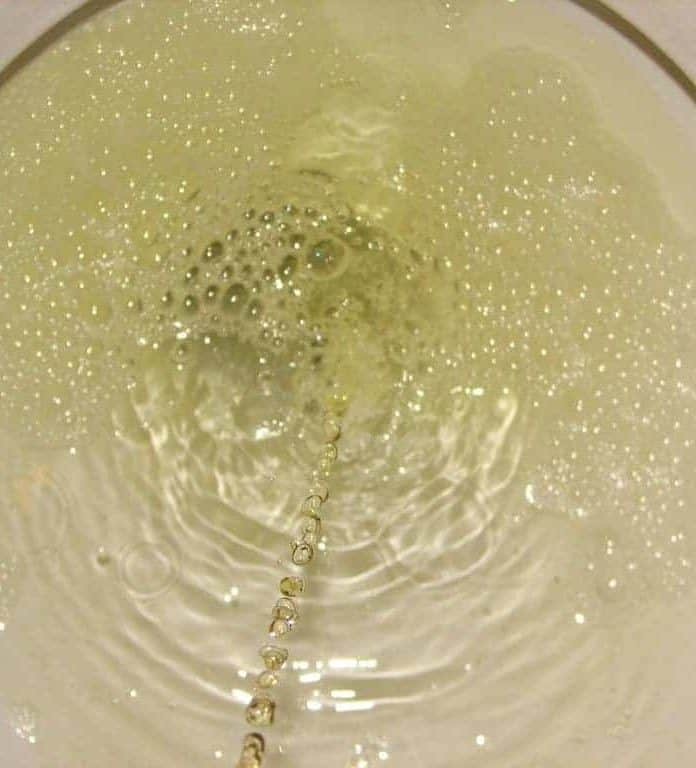 If your urine is dark yellow, this is still normal but it indicates that you may need to drink more water before long. Your urine is normally darker in the morning because it becomes more concentrated during the night when you aren’t drinking. As soon as you start drinking during the day, it becomes lighter again. The color of your urine can help to guide you on how much to drink. Most of us know we should be drinking eight glasses of fluid a day but the truth is that how much fluid we need depends on many factors. Your need can vary depending on your size, weight, activity level as well as your alcohol, caffeine, sugar and salt intake. The climate you live in and medications you take, like diuretics, can also affect how much you need to drink. Much of the time, when the color or odor of your urine is not yellow, it is temporary and is usually caused by artificial food colorings, medications or supplements. At times, however, an abnormal color or odor can indicate more serious health issues. If you are well hydrated, have eliminated any foods, medications or supplements that may be affecting your urine and the problem persists, it’s time to contact your doctor.